Andy (Joseph) Pedregón was born and raised in San Pedro, California. 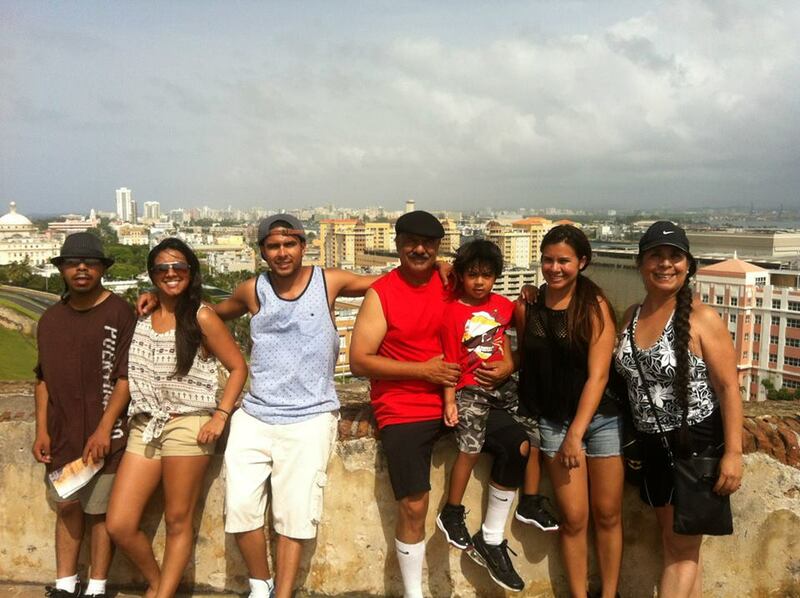 His parents, Manuel and Jenny, raised three boys and two girls. 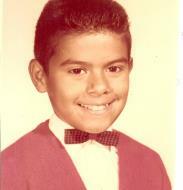 Andy grew up surfing, joined the Teen Post and was a member of the Tradesmen Club with brothers Manuel and Clemente. 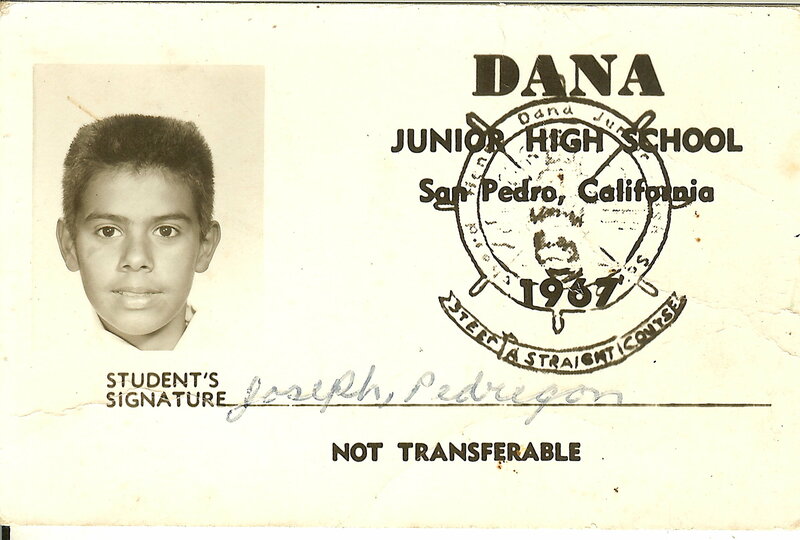 He attended 15th Street Elementary, Dana Junior High School and graduated from San Pedro High School in 1971. He discovered early in his life that he enjoyed teaching. 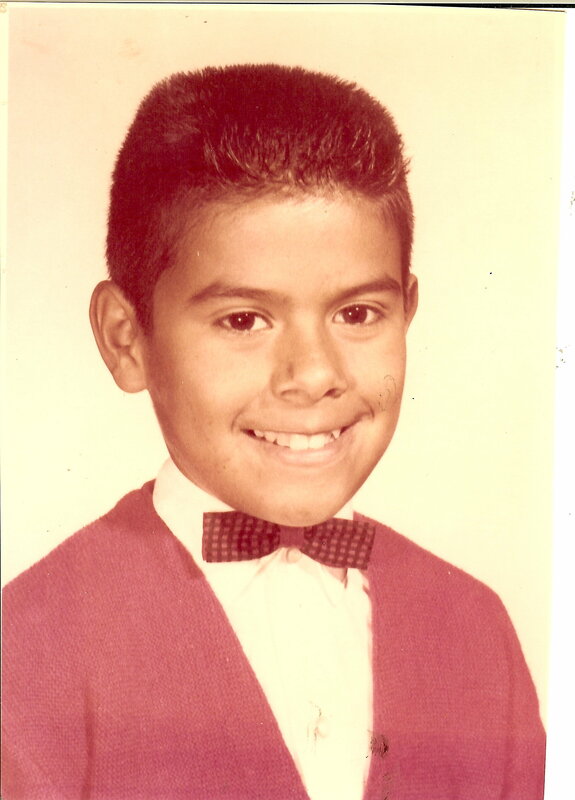 He taught ESL at a neighborhood community center and was a teacher assistant at Wilmington Park Elementary School, East L.A. Headstart. 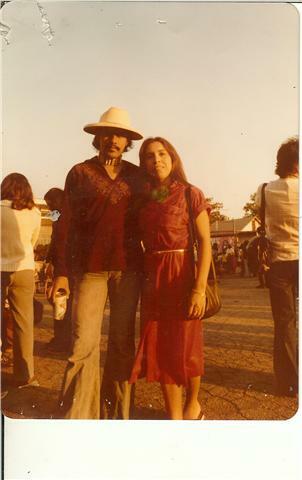 He taught at Quinto Sol & New Dawn in Long Beach. 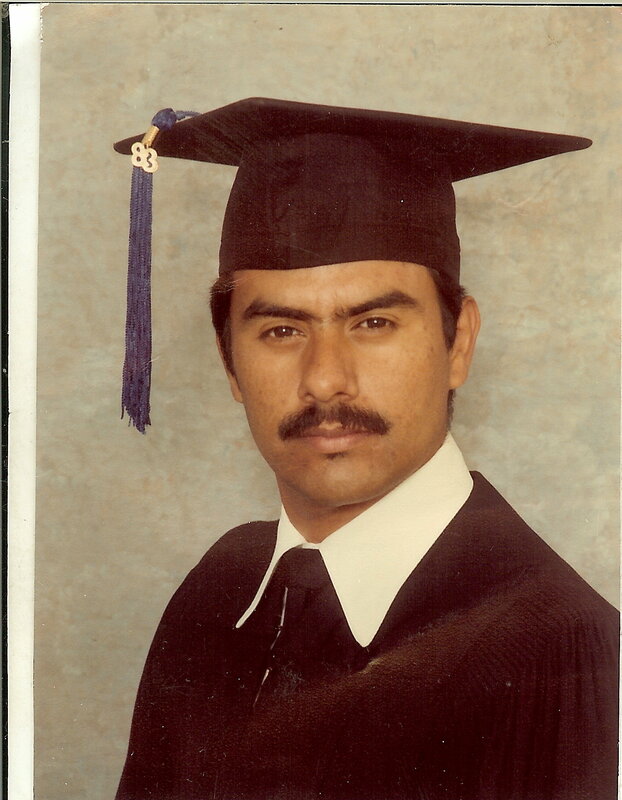 He attended Cal State Long Beach and graduated with a degree in Chicano Studies with a minor in Education. He specializes in Early Childhood Education and holds a current preschool credential. He worked as Site Director with L.U.L.A.C. 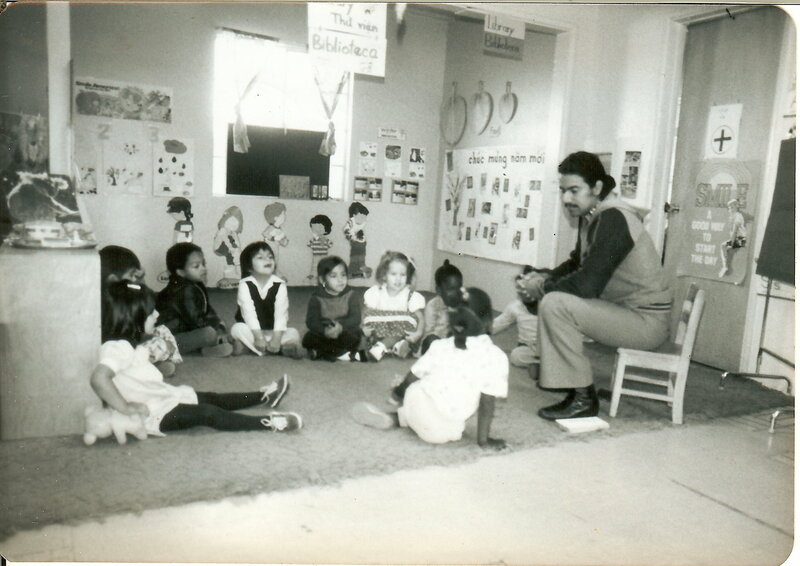 Headstart Program in Long Beach and later as Coordinator for the Gardena Family Childcare Program. For the last eight years, he has been employed as a day to day teacher/substitute with the Los Angeles Unified School District. See Contact Us page to check his day-to-day availability. 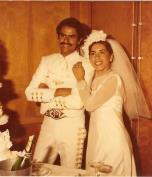 Norma (Dominguez) White was born in El Paso, Texas. 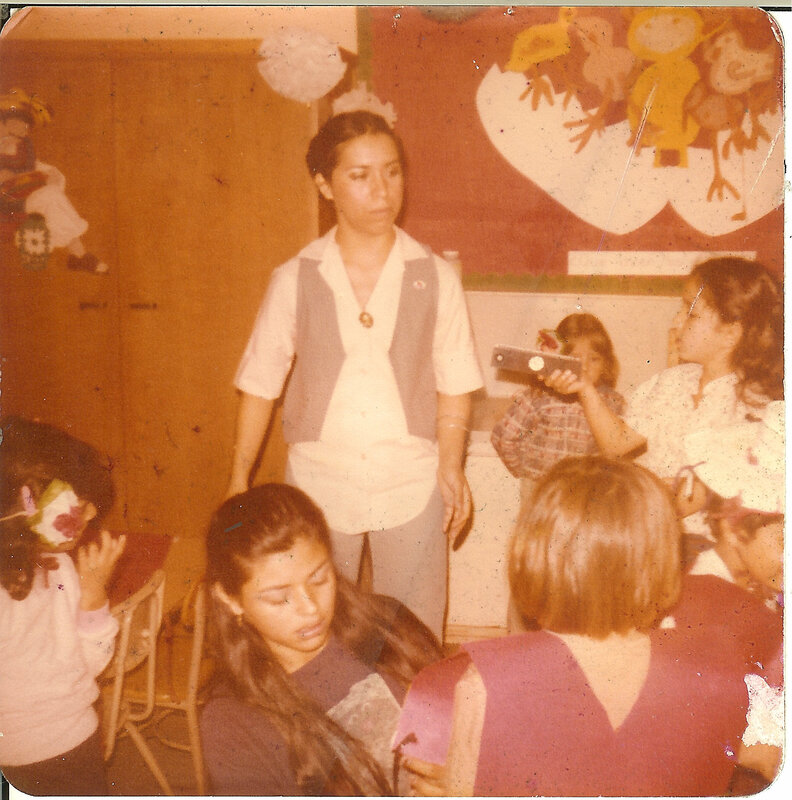 Her mother, Maria Olga, divorced Fabian Dominguez and left Texas to come to California with her two daughters and joined her older sister, Isabel. While here in the south bay, she met and married Henry White. The White family grew with three more girls added to the clan. Norma grew up throughout the harbor area. She attended 232nd Street Elementary and graduated from Carson Street Elementary, then Stephen White Junior High. 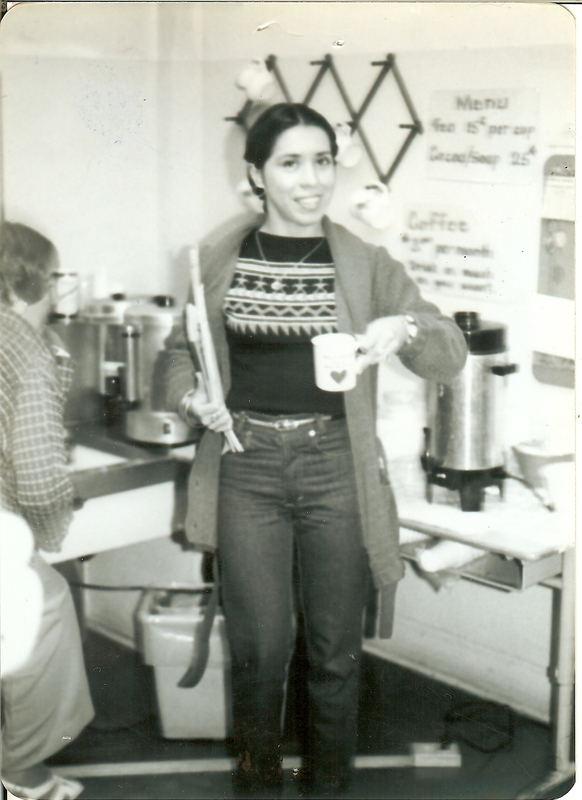 She participated in Upward Bound while attending Narbonne High School and graduated with a silver certificated in 1971. She graduated from Loyola Marymount University in 1975 with a degree in Liberal Studies and a minor in Sociology and completed her California Elementary Teaching Credential the following year. 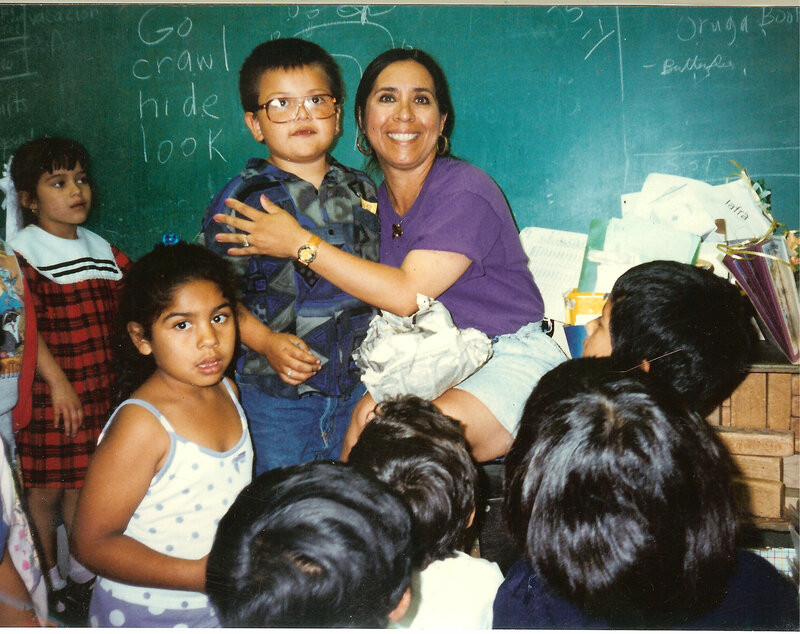 She has since worked for the Los Angeles Unified School District as a bilingual teacher , Now, after 40 years of teaching, she is now retired and enjoying her free time volunteering, helping familia and dancing when she wants. 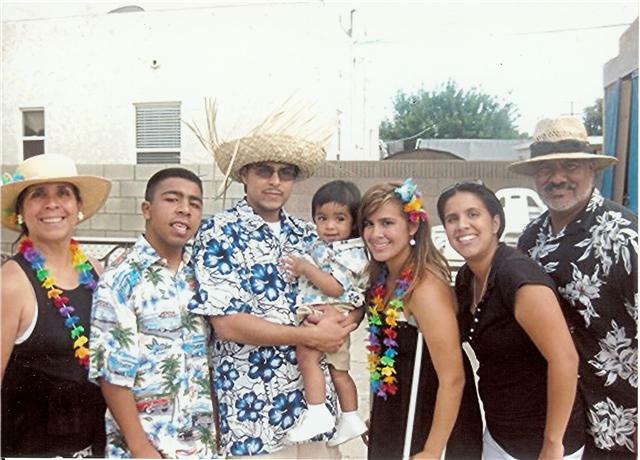 (which Norma was attending ), but he decided to stay working and help out his family instead of attending the college prep program which required Saturday tutoring and summer school courses while living on a college campus. Andy was determined to continue his education because he valued his learning and also, with his military lotto number around 40, he believed his life would be better spent working towards a college degree than fighting in the Vietnam War. Norma enjoyed school and credits the Upward Bound Program and parental support for helping her achieve a higher degree of learning after high school. She was able to attend a prestigious university and was able to return to the Upward Bound Program as a head counselor to guide many of the new students coming from all around Los Angeles area towards their future college careers. 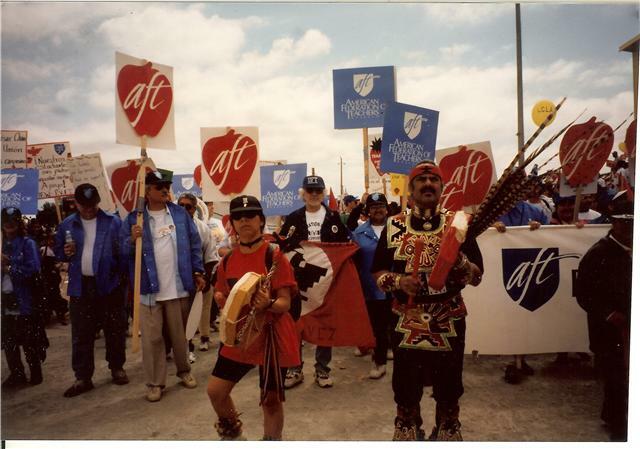 Andy & Norma continue their strong support of Cesar Chavez' vision of union involvement, support of the Farmworkers and guiding change in a peaceful, yet vocal manner. 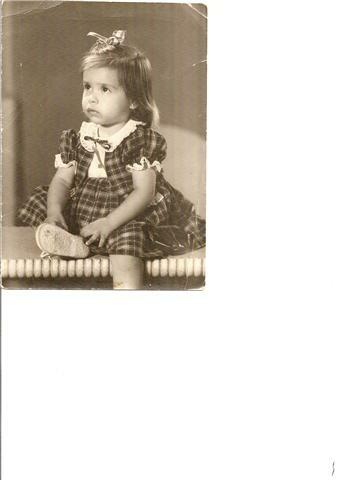 Normita about 2 years old. Both Andy and Norma had one strong interest...........dancing. During the seventies, the one hot spot to go dancing was Carolina Lanes near the airport. This was the era when there were live bands that played live music and everyone danced to the top hits. During one of these band breaks, the younger crowd would mingle outside. So, to make a long story short, Norma and Andy met in the parking lot of a disco club. 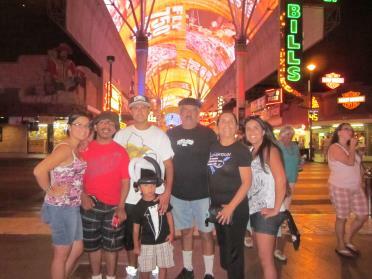 Andy's older brother, Manuel, had a fixed up van with a mini-bar and everyone was socializing. 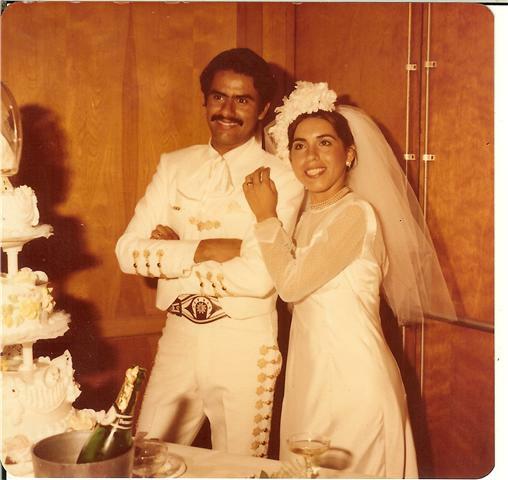 Phone numbers were exchanged and soon Norma and Andy were dancing together regularly - but not only in nightclubs, but in various folklorico groups throughout Los Angeles. 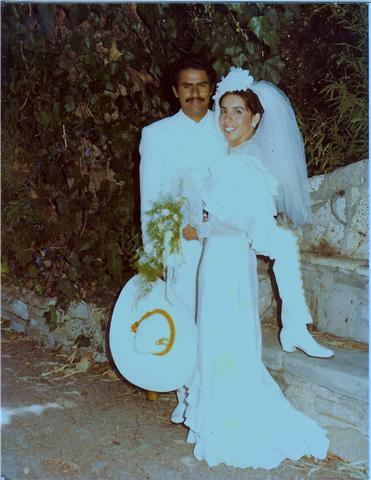 They married in July, 1979. 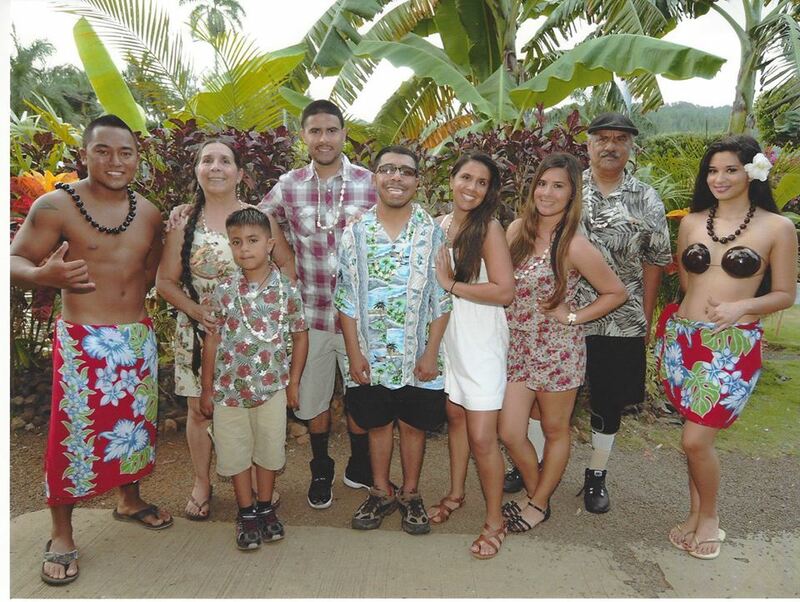 They have four talented and wonderful children - Andres, Cui Cani, Reyna & Rey (fraternal twins) and a super grandson - Jacob Lalo. 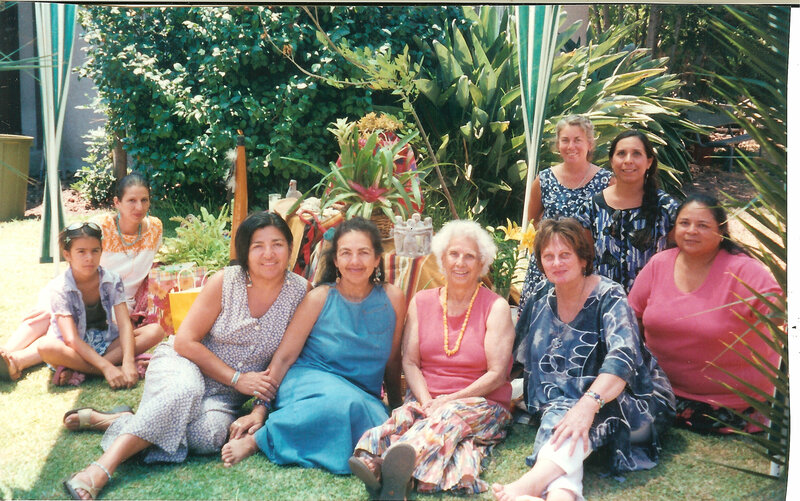 They continue to reside in the harbor area and continue to dedicate themselves to their family, friends, the educational and artistic arenas and the indigenous circle. Averill Park, San Pedro where everyone went to take their wedding pictures.